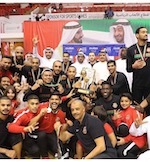 Sharjah have won 38th Gulf Clubs Basketball Championship and earned a berth in the Fiba Asia Champions Cup, to be held in China in September later this year. 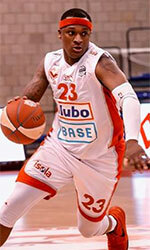 In the Final game they overcame Manama Club 99-94. The team from UAE started with a 25-19 run, while the score was tied at the halftime. The third period was decisive in the game as Al Sharjah needed a 32-25 surge to seal the win. Tyler Wilkerson (203-F-88, college: Marshall) stepped up with 34 points and James Justice (178-PG-89, college: Martin Methodist) netted 33. Terrell Stoglin (185-G-91, college: Maryland, agency: Octagon Europe) replied with 27 in a loss and Loren Woods (218-C-78, college: Arizona) produced 20.